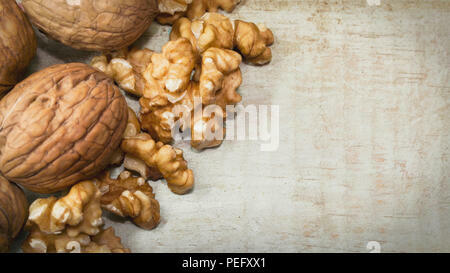 Horizontal close up photo of mix of walnut shells and walnuts kernels on light wooden surface, with space for copy. 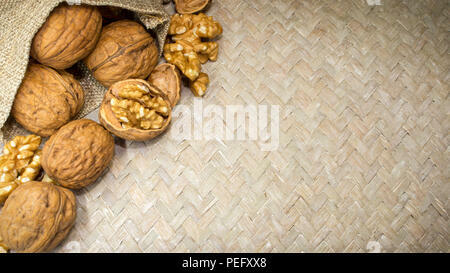 Horizontal photo of an arrangment of walnuts shells and walnut kernels in burlap sack on light wicker surface, with space for copy. 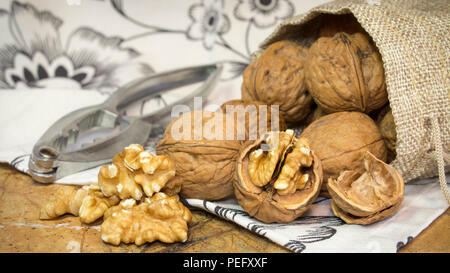 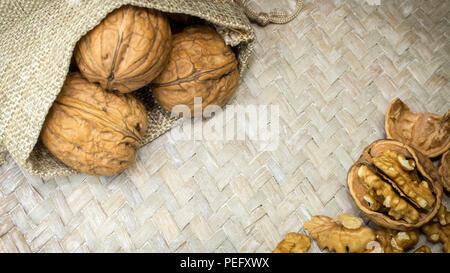 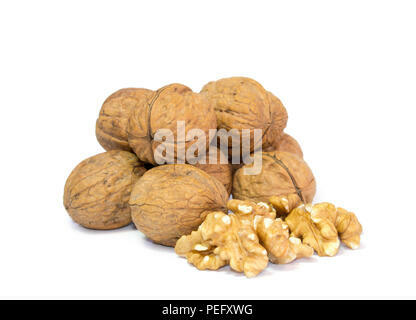 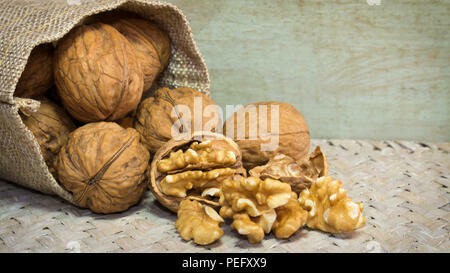 Horizontal photo of couple of walnut kernels in front of pile of walnut shells isolated on white background. 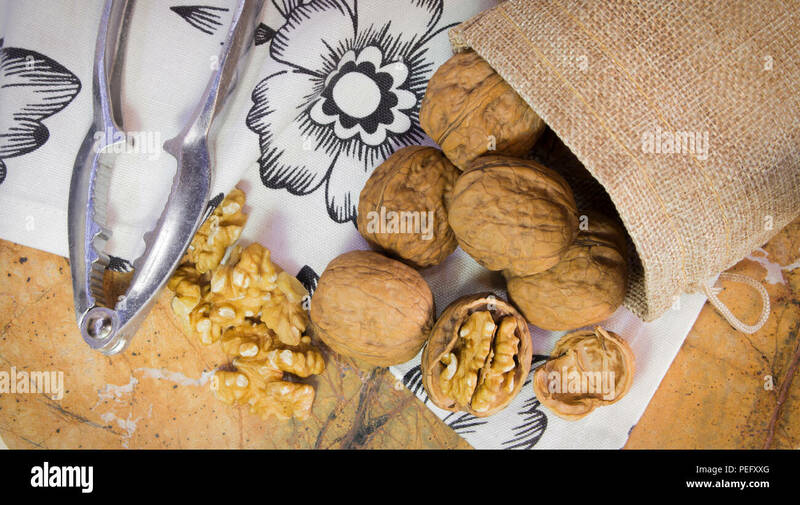 Healthy and tasty snacks.